Bake Gram's Best Brown Sugar Cake for a Mardi Gras treat or to make any Tuesday special! 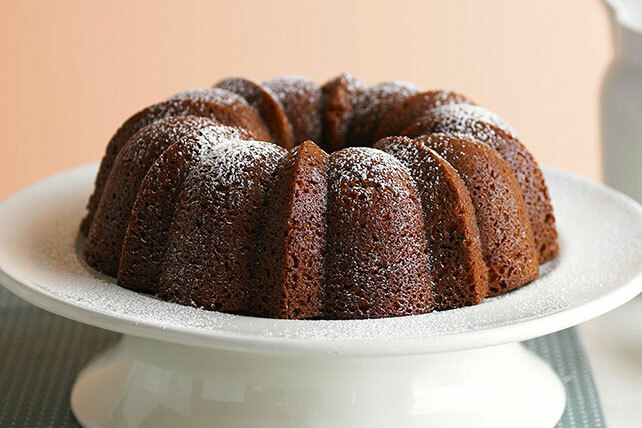 You'll love this moist brown sugar cake with its sugary crust. Beat first 6 ingredients with mixer until blended. Add brown sugar and nuts; mix well. Pour into 12-cup fluted tube pan or 10-inch tube pan sprayed with cooking spray. Bake 1 hour or until toothpick inserted near center of cake comes out clean. Cool 15 min. Loosen cake from sides of pan; invert onto wire rack. Remove pan; cool cake completely. You'll know it is a special occasion when this cake is served at a party or family gathering. It's guaranteed to be a crowd pleaser! Sprinkle pan with combined 2 Tbsp. granulated sugar and 1/4 tsp. ground cinnamon after spraying with cooking spray. Then, fill with batter and bake as directed. Serve topped with cut-up fresh fruit.